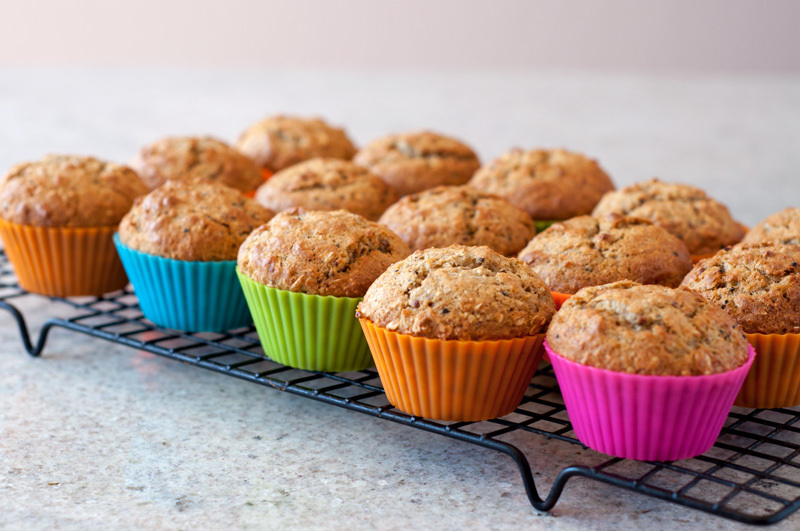 I love a good muffin – they are nearly foolproof to make, and are great for using up leftovers – in this case a couple of black bananas and some cooked quinoa. 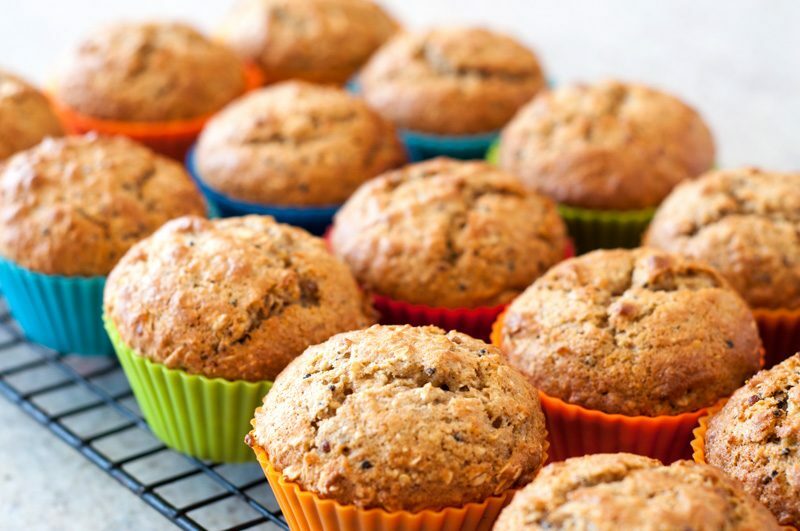 I’ve loaded this up with oat flour, whole rolled oats and whole wheat flour in addition to a little all purpose flour, but the real kick comes from the quinoa which gives the muffin an interesting texture as well as a nutritional boost. These babies – as well as most muffins on this site! – freeze well. Just microwave for 30-60 seconds to thaw and reheat a muffin, and enjoy them every morning with your coffee or tea. Combine the sugar, eggs, bananas, and oil in the base of a stand mixer and mix on medium until well combined. Add the vanilla and quinoa and mix for 10 seconds. Combine the remaining dry ingredients in a small bowl and stir to combine, then add to the mixer on low just until incorporated; do not overmix. Line a muffin tin with liners and portion batter into 18 muffins. Bake at 375 degrees until lightly browned a toothpick inserted into the center comes out clean, about 13-15 minutes. Let cool before storing in a covered container; freeze well!